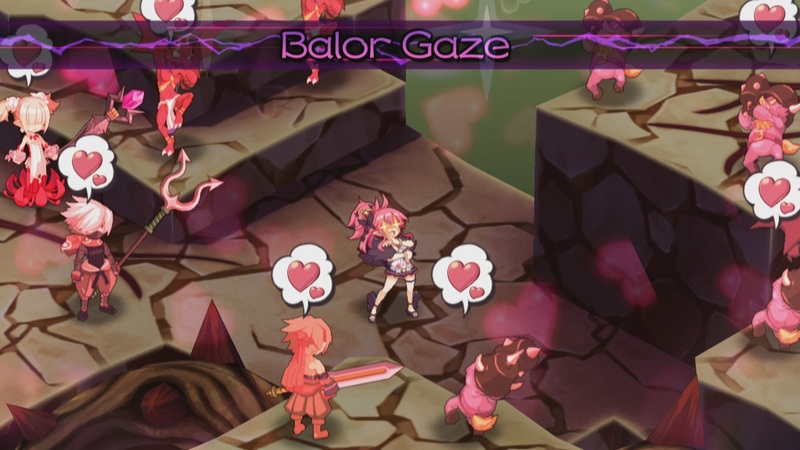 Two years ago I wrote a 7,776 word review for Disgaea D2: A Brighter Darkness. It was an appropriately large number of words for a game all about large numbers (never mind if anybody actually bothered to read them). I went on and on about the plethora of mechanics, the various weapon types, a handful of strategies, and every other detail I could think of, including how your characters could store 180,000 levels and do billions of points of damage. Now I’ve just finished Disgaea 5: Alliance of Vengeance; and one thing’s for sure… I’m not shooting for 7,777 words, nor am I going to yet again level my characters up to the point of absurdity that has become such an essential hallmark of the series. The reason is that there really isn’t that much in Disgaea 5 that wasn’t also in its predecessors. This is a very safe sequel to what has become a long running series. The weapon types are all familiar, the art style remains the same (I often forgot this was a PlayStation 4 game as the visuals could easily have been accomplished on PlayStation 2), and the majority of the character classes and common spells are the same. Even the physics of how your character jumps around in the base feel exactly as they have for the last twelve years. The cheat shop is back, the Item World is back, Evilities, the Strategy Assembly and Magichange (using monster characters as weapons for humanoid characters) are back, and the base hub and chapter based level structure are back too. 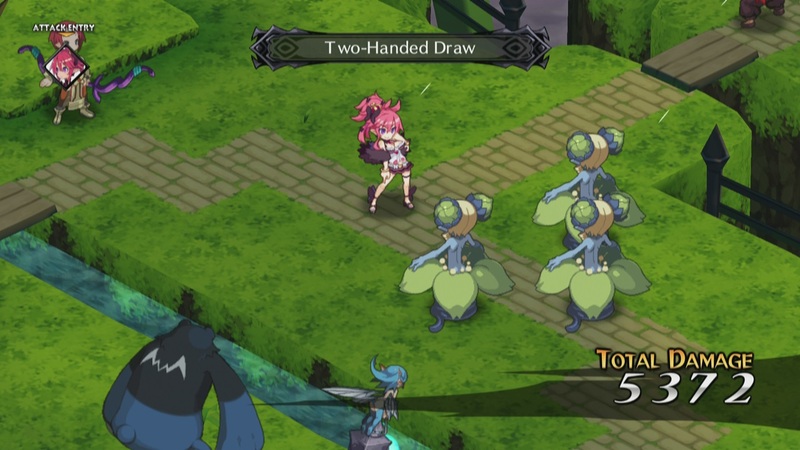 I could go on and on, but you could just read my Disgaea D2 review if you really must know the difference between a Combo Attack and a Team Attack, or how to lift and throw or build a massive tower of characters. Instead, let me tell you about what’s new in Disgaea 5: Alliance of Vengeance. (Light spoilers in this section.) The campaign features a brand new cast of characters, so don’t expect to see Laharl, Flonne and Etna during the main storyline. Instead, Disgaea 5 tells the tale of Seraphina, the overlord of a netherworld called Gorgeous, that is supposedly the richest of all netherworlds. Seraphina is a self-described temptress, and prides herself on her ability to make all men her servants (and her ability to laugh obnoxiously like every other conceited female anime character ever—ooohhohohohohoho!). Objecting to her arranged marriage, she runs away from home and begins her journey to defeat Void Dark, who is both an evil super villain responsible for the destruction of countless netherworlds, and the man Seraphina was supposed to marry. Void Dark commands an army called The Lost, and it is during a conflict with The Lost that Seraphina bumps into Killia, who—after enjoying a delicious meal—defeats all of The Lost in the vicinity. He also has a grudge against Void Dark, and seems completely unaffected by Seraphina’s power over men, but joins her anyway because they have a common enemy. They are soon joined by Red Magnus—a muscular overlord who is a bizarre combination of the pinkests from Tales of Xillia that say “super” in every sentence and the screaming attitude and voice of Torgue from Borderlands. There’s also Christo, the plot twist waiting to happen, Usalia, a self-described mascot who says “plip” in nearly every sentence (just because, plip!) and is addicted to curry, and Zeroken, the demanding sidekick. All of these characters have good reason to want revenge on Void Dark, thus the subtitle, Alliance of Vengenace. Overall, it turns out to be a decent tale. The characters develop and mature throughout the game in often predictable ways, and that definitely diminishes the emotional payoff at the end of the game, but not to the point of ruining it. In fact, I ended up quite fond of the cast, despite their cliché adherence to stereotypical anime character types. Even Red Magnus, who gave me the worst first impression, grew on me to become a likable character. Yet again I feel like Nippon Ichi has failed to recapture the magic of the original Disgaea, but they did manage an enjoyable and lengthy story. It’s one of the longer stories they have ever told as well, spread across 16 chapters and 80 stages, that took me over 50 hours to complete. 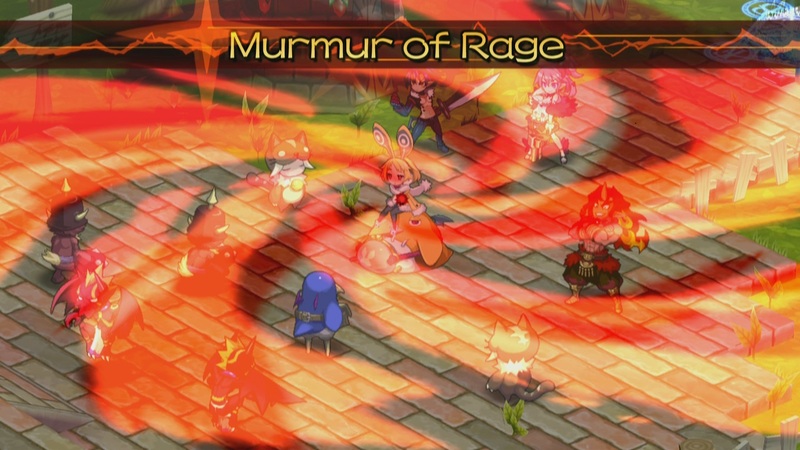 Of course, no game of Disgaea would be complete without a ton of things to do outside the main storyline. When the campaign levels started getting difficult, I’d often dive into the Item World for an hour or so to power up my characters, and then breeze through the next chapter or two that followed. In fact, that describes the game loop in the Disgaea series to a tee. You play through the storyline maps until something is too hard to kill, and then you power level to the point that the challenge becomes trivial. It isn’t hard to power up a single character to the point that it can solo every map in the campaign, so it really is up to the player to maintain any sort of balance or challenge throughout the game. Fortunately, the game gives the player many tools to assist in managing the difficulty. The cheat shop can affect how much experience your characters earn, so if you crank up the experience points, you can expect to stay ahead of the curve in the storyline. And if things get too easy, you can also use the cheat shop to make the enemies more difficult. On the other hand, I never really felt like the challenge was just right. It’s always either too hard or too easy, and there is rarely any real strategy to speak of in this strategy role playing game, aside from “make the numbers bigger” and try again. I suppose you could argue that the story missions have puzzles to solve in terms of figuring out how to navigate through the Geopanel based obstacles (yep, those are back again too), but to anyone that’s played a previous Disgaea game, these puzzles will be more of a minor annoyance than any sort of actual brain teaser. There’s the Chara World, which is different than it was in earlier Disgaea games. This time, instead of being another random dungeon generator like the Item World, it is instead a mini-game of sorts that plays out like a board game. You roll a die and move your character up to 6 spaces, and depending on what tile you land on, something happens. You might get a bonus to your character’s stats or aptitude, you might get some HL (currency) or Mana (another currency), or those things might be taken away from you. You might get an extra turn or two, or get your fortune told. And finally, if you reach the goal before you run out of turns, you can enhance your character in some way, such as increasing how far they can move or throw, or teaching them a new Evility. But is the Chara World compelling gameplay? No, not really. It’s a cute distraction, but it isn’t really that much fun, and for players that really want to max out their characters, I can see it becoming extremely tedious. Then there’s the Curry shop that lets you prepare curry for your next battle that will give your entire army a boost. There really isn’t much more to say about that… There’s the Alchemy Shop which, oddly enough, isn’t introduced until the postgame. It lets you create rare items that are otherwise difficult to find, but they take time (playing through a few stages) to prepare. There’s also the Squad Shop, which allows characters to be grouped together into Squads that enjoy certain benefits (there were similar features in previous games). And there’s the Interrogation Room, which is much less exciting than it sounds. You basically spam a button 5 times between every map to interrogate any prisoners you may have captured (randomly at the end of a battle or via the Capture Squad) until they run out of SP. It’s fun at first but quickly becomes just another thing you have to do between battles. The benefit to interrogating a prisoner is that once they are out of SP, they are worth more points towards powering up a Squad. You can also extract some power from them in the form of an item that can increase a character’s stats, or make them a citizen of your netherworld, which, in my case, did absolutely nothing as I never saw those characters again. My understanding is that they are supposed to walk around the base hub, but I have yet to see any of my new citizens. A significant new feature is the Quest Shop, which allows the player to accept up to 10 quests at a time, and provides a wide range of miniature objectives. This is your typical MMO stuff; kill 3 of these, collect 4 of those, increase your weapon level to 5, etc. This time around, you unlock new classes by completing quests, which is a welcome change, as it provides a clear way to unlock classes, which was a bit of a mystery in earlier games. Another cool new feature is the Nether Research Squad, which allows you to send your reserve characters off on their own adventures to other netherworlds. This is the Disgaea version of sending assassins around the world in Assassin’s Creed or ordering your advisors around in Dragon Age: Inquisition. In this case, to pass time, you have to play stages rather than wait for real time to pass. Eventually the netherworlds will be fully explored, you’ll get a stack of items and some prisoners (and possibly a brief boss fight that is no different than any random Item World stage), and you will discover a new netherworld so you can repeat the process again and again forever. It isn’t particularly fun, but it does provide the player with a good reason to build up a huge army. The characters also level up from doing this, and the rewards become very useful, so it has its place is Disgaea 5. Then there are all the new customization and connectivity features. This time around you can make your own stages using a Map Editor, and build your own base using the Nether editor. I got limited use out of these features because there weren’t many other reviewers utilizing them at the time I was playing, but they still seem pretty interesting. You can play maps generated by other players and send your own maps out for them to play (with a like/dislike rating system), and you can customize your Netherworld’s appearance and even summon it in battle to add or replace effects on the battlefield. There are shops that sell the pieces that you need to design levels and netherworlds, and I can imagine the creative fan base will make some awesome levels eventually. But when I played, there was only a single custom map in existence, and it was a bonus map with 9 level 99 Prinnies nicely lined up and waiting to be slaughtered atop bonus tiles that granted 200% extra Experience, HL and Mana. Whew… it seems whenever I write about Disgaea, I just go on and on. I’m nearly at 2000 words, and like usual, I feel like I’ve barely scratched the surface in describing what the game has to offer. But that’s just how Disgaea is. It is endless features, gigantic numbers, layered mechanics, exploits and cheating. Though I may have sounded a little harsh in this review, it is only because I have become so familiar with the series and how it works, that it is starting to feel a little stale. If you love the previous Disgaea games and you are ready to get to level “over 9000” yet again, Disgaea 5: Alliance of Vengeance will not disappoint you, at least on a mechanical level. The campaign is also lengthy enough to justify a buy, even to the type of player that won’t go deep into the side content or postgame. But on the other hand, after twelve years, I’d have hoped to see a bit more innovation. It’s been more than 10 years since Phantom Brave changed things up by taking the genre off the grid and allowing most moves to be combined into awesome hybrid moves, but there hasn’t been anything close to that drastic a change to the Disgaea series since the beginning. 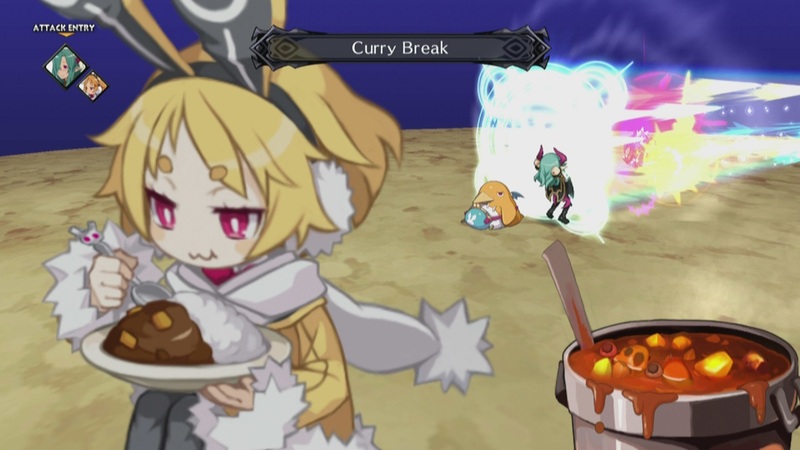 Hopefully Disgaea 6 will stir the curry pot a bit more thoroughly. See you next time, doods. Ari completed Disgaea 5: Alliance of Vengeance in 55 hours. He received a copy of the game for review purposes.